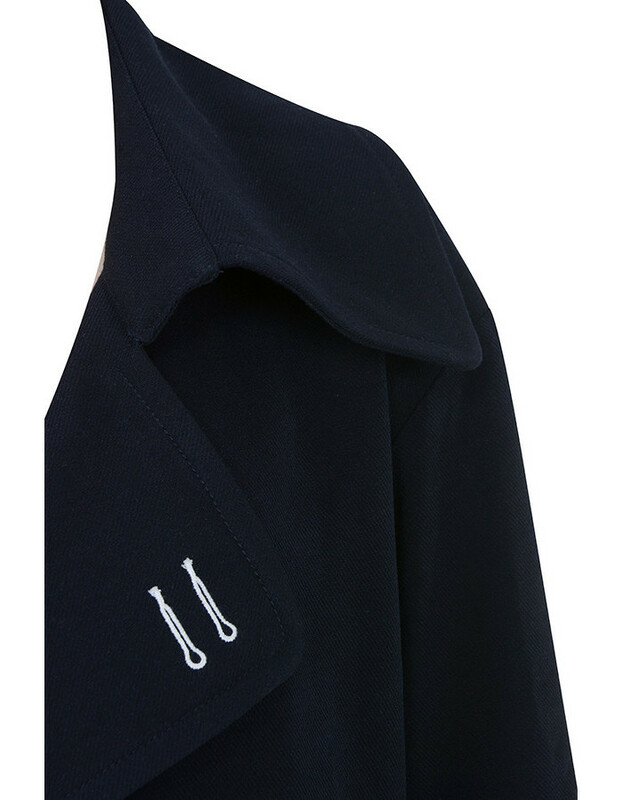 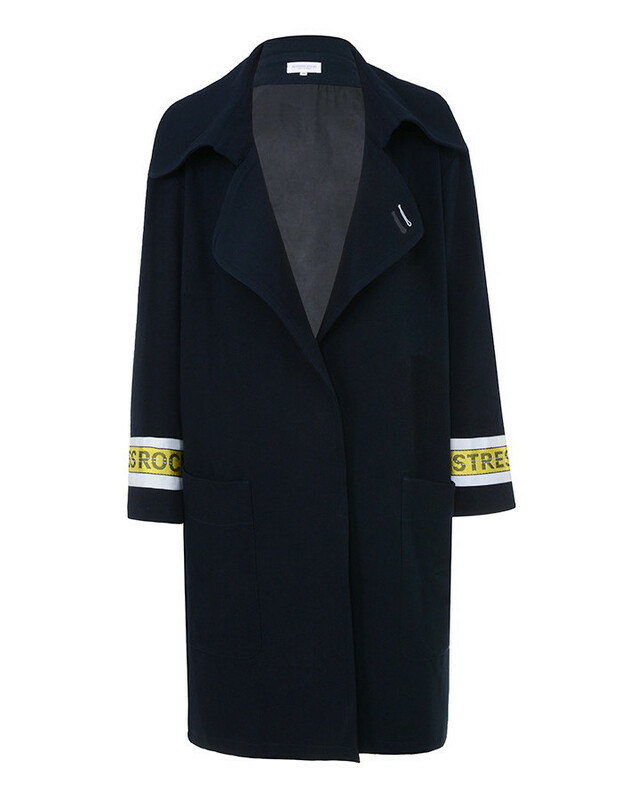 Stay chic yet cosy with the 'Pass' It Overcoat. 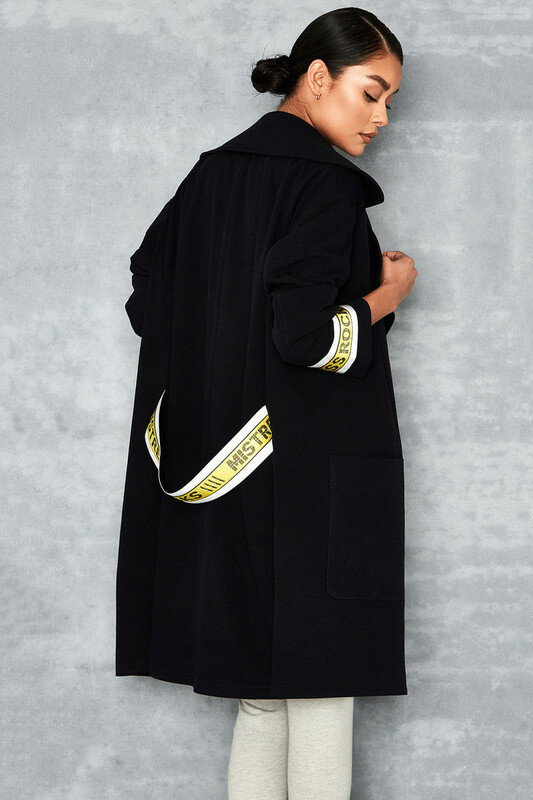 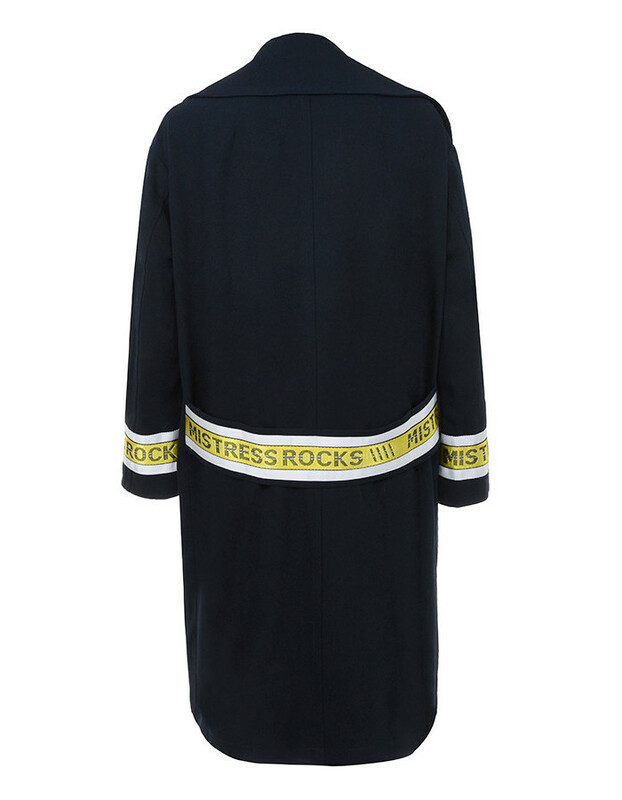 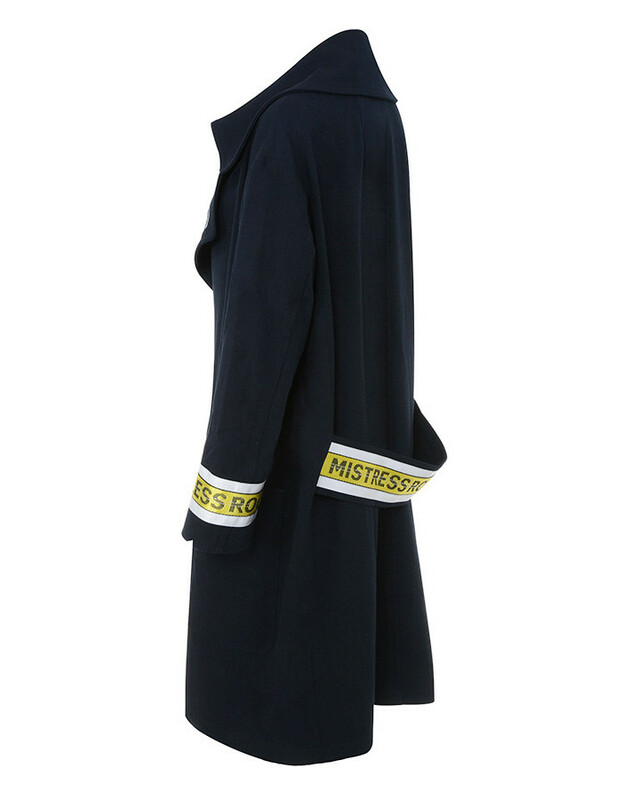 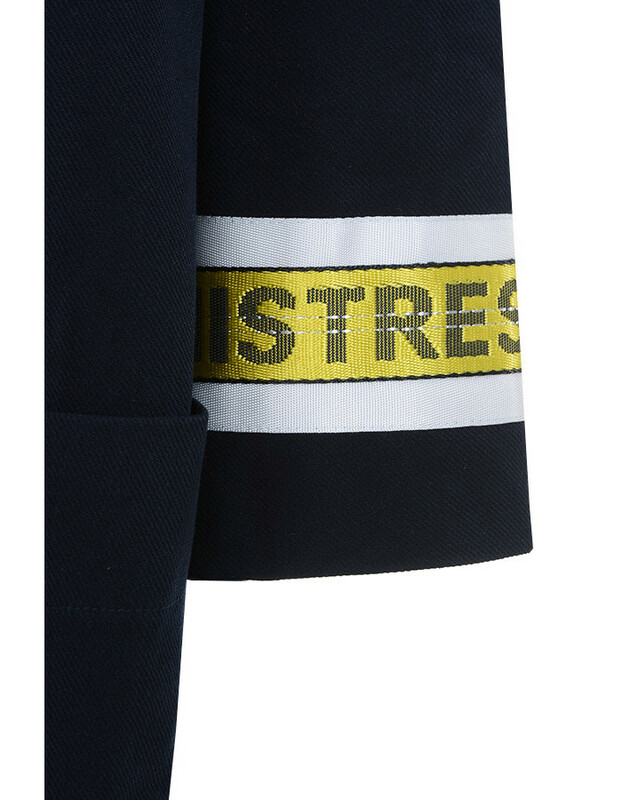 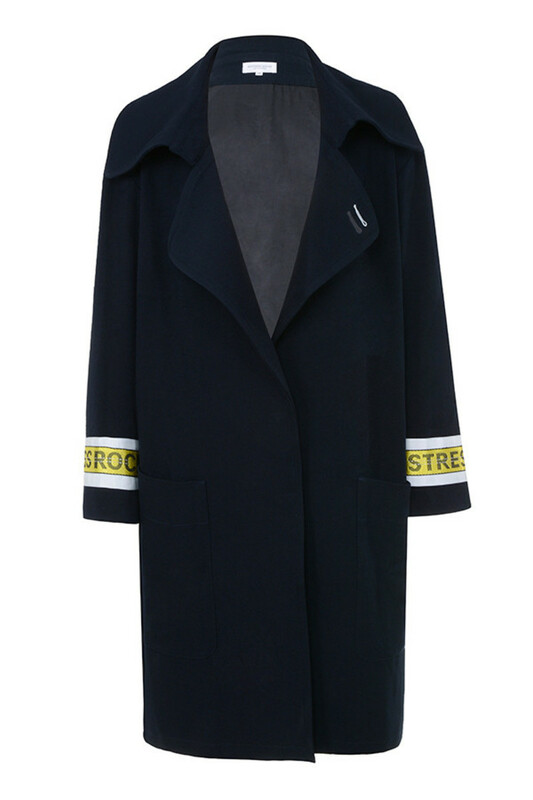 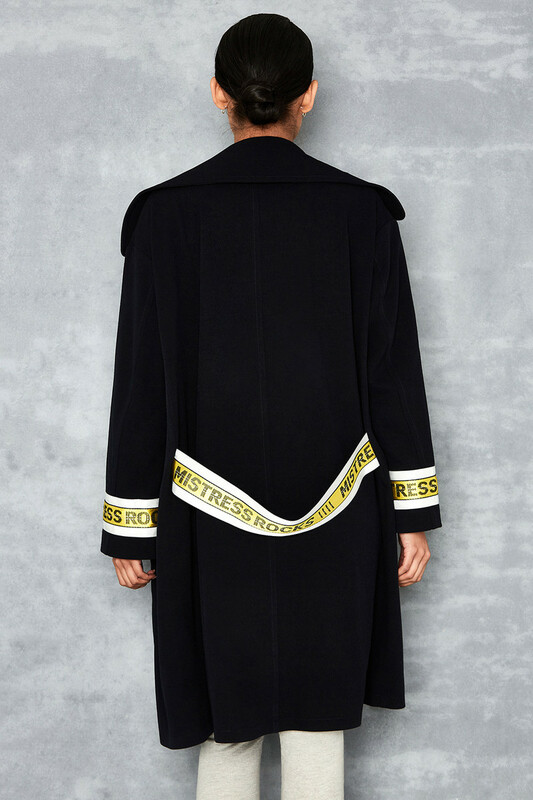 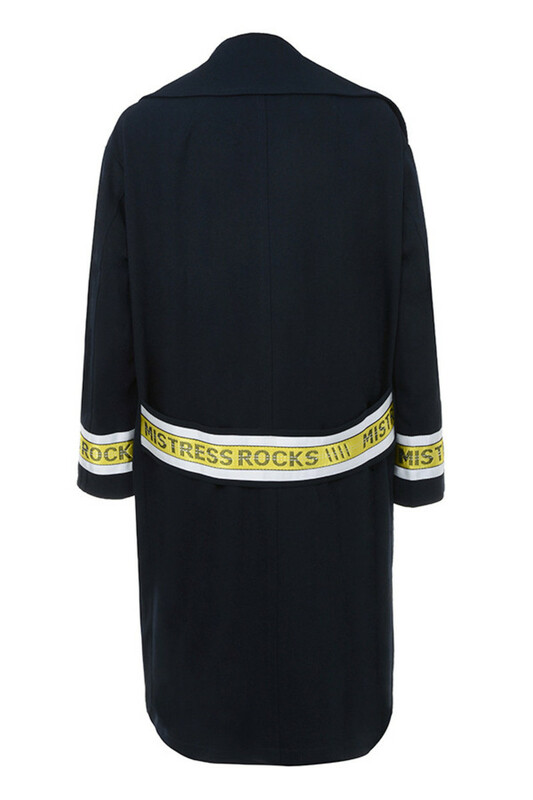 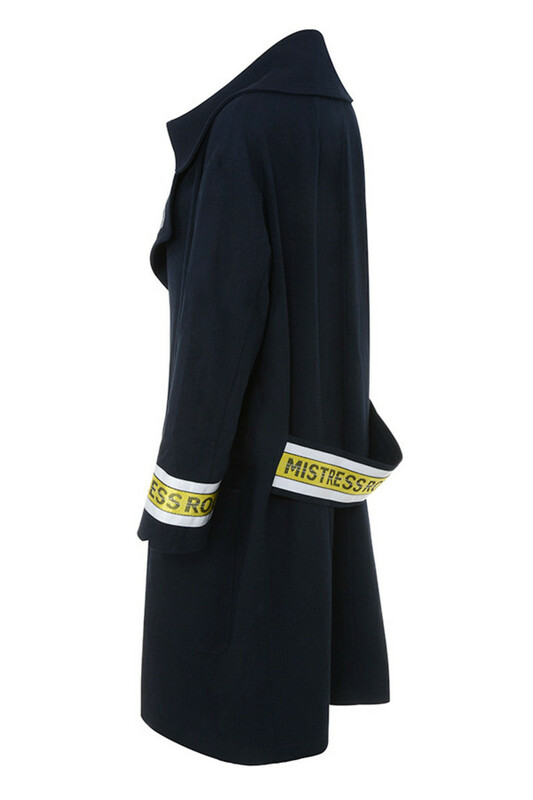 Featuring a classic oversized overcoat shape, 'Pass It' has wide lapels, long sleeves and an eye catching caution tape detail to the back. 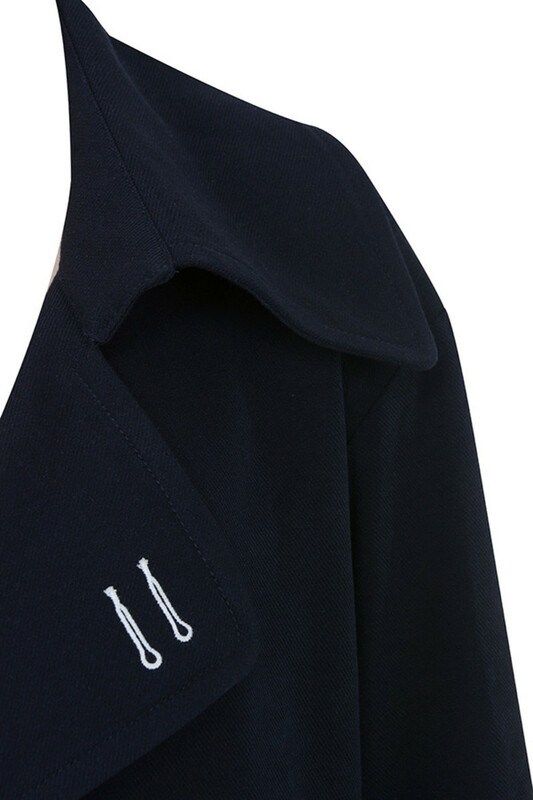 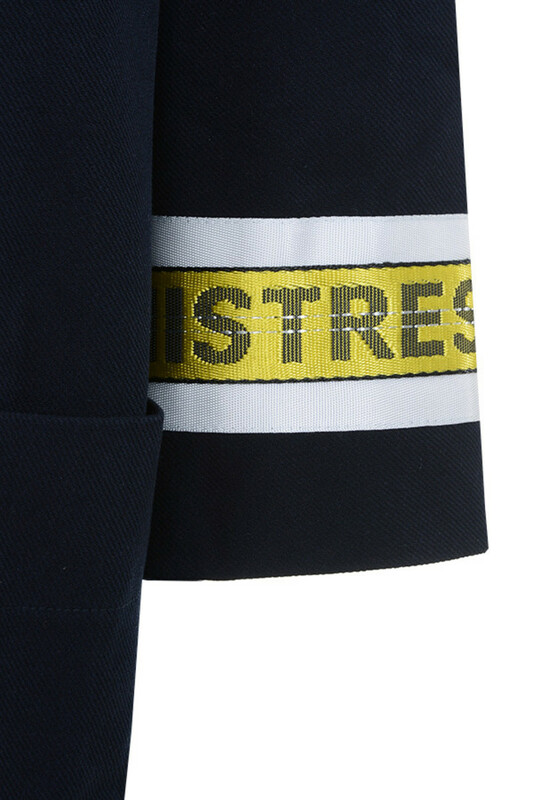 Made from wool mix fabric.